We’ve all had moments during which we feel bloated and uncomfortable, but generally the reason for it is pretty obvious and will more often than not be down to some heavy or greasy takeaway that we’ve stuffed down, so we know that after a day it will pass and we’ll go back to normal after that. However, if you feel like you’re constantly bloated and feeling uncomfortable all the time despite your lack of greasy foods and are actually eating healthy, then there are some common things that could actually be causing this and are generally pretty easily resolved by just making a few simple lifestyle changes. In this post, we’re covering some of these things to help you possibly identify the cause of your recurring upset tummy. The things we eat drink affect our bodies in a big way – while some effects are good, others not so much. The thing is, most people do know that things like alcohol, fatty, and sugary foods can cause bloating, but it’s not just unhealthy foods and drinks that cause this. Many healthy foods, such as grains, nuts, beans, and green vegetables can be a big cause of bloating due to their high fiber content. This certainly doesn’t mean these foods are bad or should be avoided. But, if you’re not used to a lot of fiber in your diet, then taking the time to introduce them slowly will help your body adapt and actually retain the goodness they offer. It’s not just what you’re eating that can have an impact on your digestive system, but also how fast you’re consuming your food. If you’re eating too quickly, then this can cause painful side effects such as bloating, indigestion and heartburn – none of which are particularly enjoyable. The main reason people eat too quickly is that they’re hungry. To avoid being overly hungry, try to break up your meals throughout the day instead of eating one massive meal. 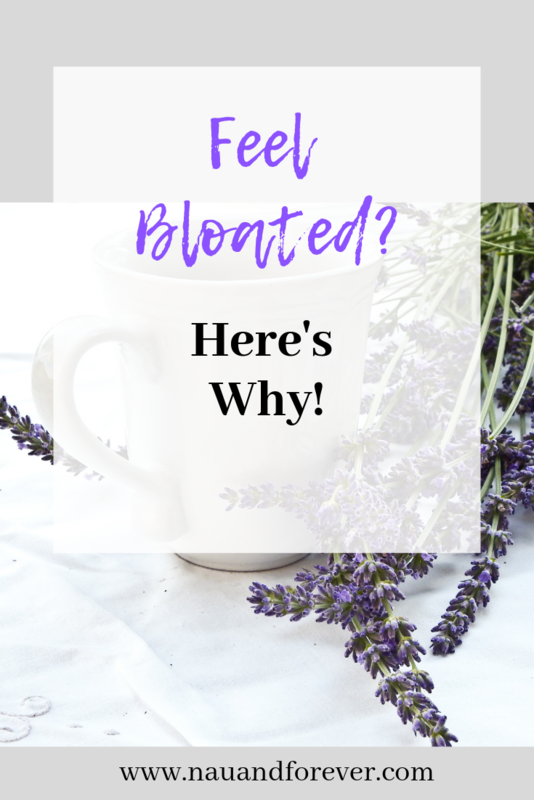 As if periods aren’t bad enough on their own, we have to deal with all the other lovely side effects they produce, of which bloating is one, thanks to the fluctuation in those hormones that like to run riot during this particular time of the month. The good news is, you may not experience bloating every month, and it usually subsides within a day or two of your period finishing. If it doesn’t and you’re feeling consistently bloated throughout the month, then it’s advised to speak to your doctor to have it checked and rule anything else out – especially if the bloating is accompanied by other symptoms such as pain or bleeding when you don’t have your period as this could be indicative of endometriosis. Undiagnosed conditions such as IBS, celiacs disease, endometriosis, and many dietary intolerances or allergies have a tendency to cause a lot of bloating, gas, and general discomfort. This can be quite easily treated through medication and simple lifestyle changes. Usually, to rule out dietary intolerances, such as gluten or lactose intolerance, your doctor or dietician will often start you on what’s known as an elimination diet. They may also refer you to somewhere like Inspire Ostomy support group if you’re diagnosed with something like IBS. When you feel bloated, take note of what the possible culprits could be. It could be as simple as avoiding certain food and drinks. Or you may have medical issues that you need treatment. Want more tips on healthy living? Check out this post with tips on taking care of your health every day.